Looking for quality pressure washing in Pleasantville, New York? R & S Janitorial Services, Inc.'s local, trained pressure washing technicians will complete your Pleasantville pressure washing project in a quick and economical fashion. Pressure washing is the most cost effective method of keeping your exterior surfaces looking new and protecting your biggest investment. 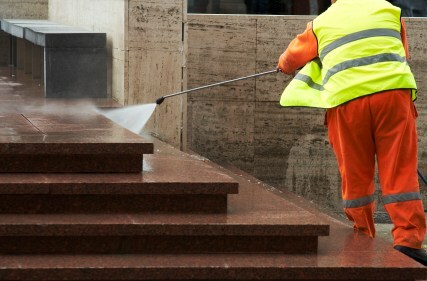 Whether searching for storefront pressure washing in Pleasantville or commercial pressure washing for your Pleasantville area office, R & S Janitorial Services, Inc. will effectively remove dirt, mold, mildew, oxidation, gum, graffiti and other unwanted contaminants, leaving your property fully protected and looking fresh again.